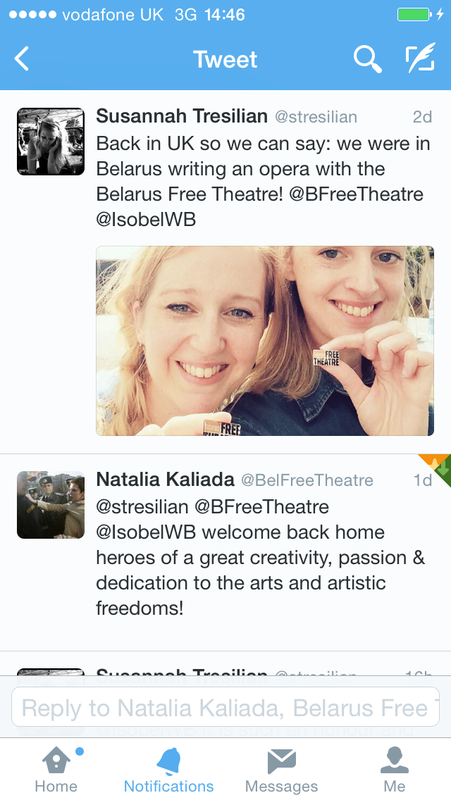 Isobel Waller-Bridge and I travel to Belarus to write SOUL POWER: THE OPERA with the Belarus Free Theatre. Travel to Dublin to set up THE NEST: a residency for ARIADNE at Trinity College Dublin in September 2015. Meetings and preparations with Isobel Waller-Bridge for opera in Belarus. POSH run comes (very sadly) to an end…. I direct new play HEROINE by April de Angelis at the National Theatre, as part of Women Centre Stage Festival. To hear the music composed by Isobel Waller-Bridge and sung by Joanne Evans, click on this REQUIEM SOUNDCLOUD link. ARIADNE partners with the Abbey Theatre for their Theatre of War symposium in Dublin. See http://www.projectariadne.com/abbey-national-theatre-dublin-2015/ for videos, photos and information. 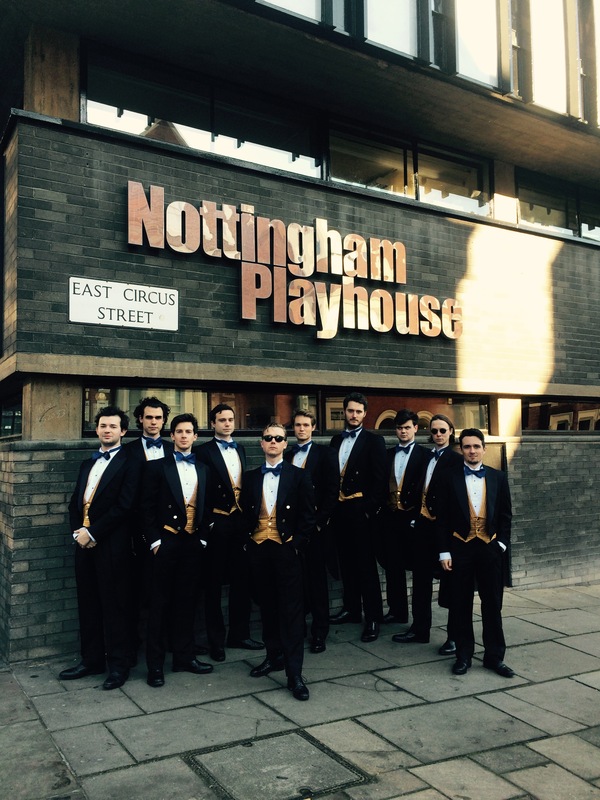 Begin rehearsals for POSH at Nottingham Playhouse. Watch BAFTA screening of Into the Woods with Q&A with cast and crew afterwards. Watch Tena Štivičić’s extraordinary play 3 Winters at the Lyttelton, National Theatre. Hear my interview with here. Finalise creative team for Posh. Very excited to be working with designer Ellan Parry, composer and sound designer Isobel Waller-Bridge, lighting designer Alexandra Stafford-Marshall, and fight director Alison de Burgh. Am producing Woman’s Hour on BBC Radio 4. 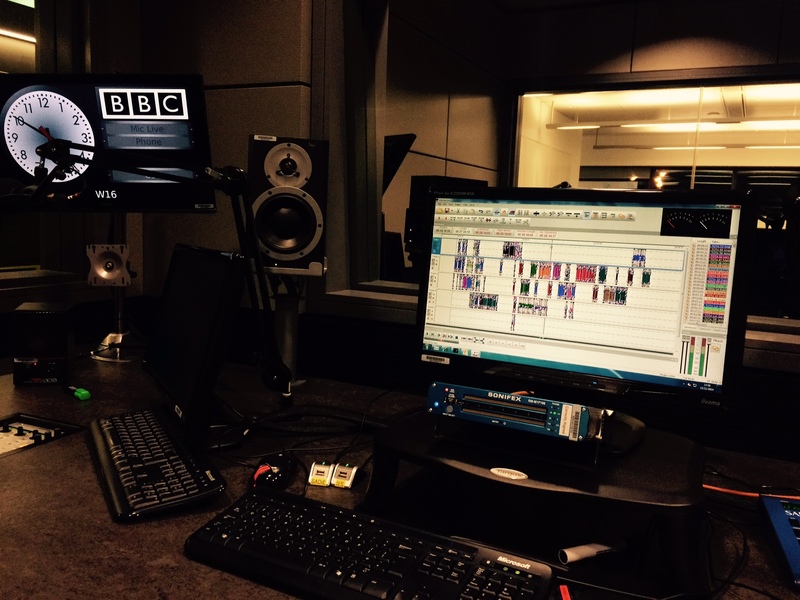 In editing suite at MediaCity working on Theatre of the Abused – my first ever documentary for BBC Radio 4! Here it is in its final edited glory! Film the trailer for POSH in Nottingham… See the result here. CD Recording with the Joyful Company of Singers for Lionel Segal’s ‘Pictures of Life’. Am invited by National Theatre to interview Tena Stivicic on her new play 3 Winters for their In Conversation podcast. Sing Mass for 5 Voices concert with Joyful Company of Singers at St Sepulchre Church in London. Music by William Byrd, Lennox Berkeley and Michael Berkeley. April de Angelis and I record for our BBC Radio 4 Documentary, Theatre of the Abused. We get to meet and interview: Marion Bailey on Blurred Lines (National Theatre, London), Anna Jordan on Freak (Theatre 503, London), Yael Farber and Priyanka Bose on Nirbhaya (Southbank Centre, London), Annie Ryan on A Girl is A Half Formed Thing (Sam Beckett Centre, Dublin Theatre Festival), Dr Lucy Nevitt author of Theatre and Violence, cultural sociologst Dr Tiffany Jenkins and theatre critic Lyn Gardner. It has been an absolute privilege to speak with these women about sexual violence and feminist theatre. ARIADNE in exciting talks with the Abbey Theatre in Dublin, watch this space…….! 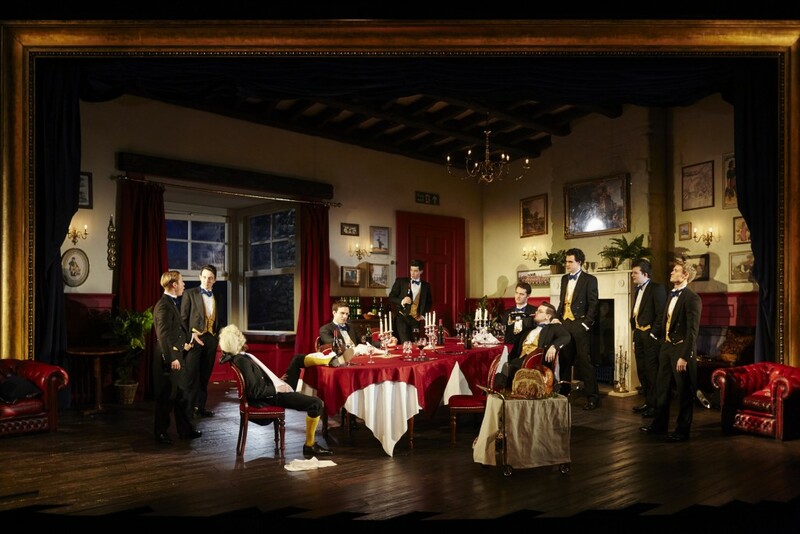 Invited to direct POSH by Laura Wade, co-production with Nottingham Playhouse and Salisbury Playhouse, for Feb-April 2015. There is a mass of news to catch up on. The space was because I had unexpected and rather major surgery earlier this year. But all is better and now I am back in action with much much news to tell! 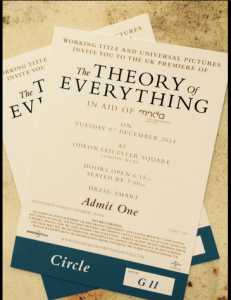 Much news to update on… watch this space! We win Arts Council England funding for a Research and Development period on The Endings by Sara Pascoe. We’ll rehearse it and then perform two play readings at the Soho Theatre and Nottingham Playhouse in Feb/Mar 2014. See here for more information. Saw Absurd Person Singular at Mill on Sonning, by Alan Ayckbourn, dir. Tom Littler. Saw Blurred Lines at National Theatre SHED, by ensemble and Nick Payne, dir. Carrie Cracknell. 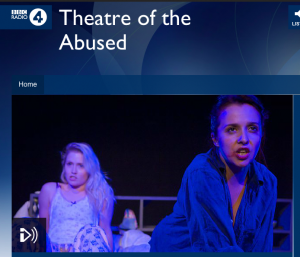 My BBC Radio 4 documentary commissioned: Theatre of the Abused – sexual violence in modern feminist theatre. Will be broadcast in Winter 2014. Invited to attend the lecture: The Responsible Artist, care of the Royal Society of Arts and The University of Manchester, hosted by James Thompson of In Place of War. Invited to attend #BigIdea #Reimagine South East Asia forum, by British Council and Culture+Conflict, on ‘Making a Better World?’, at the Royal Court Theatre. A discussion inspired by The Djinns of Eidgah by Abhishek Majumdar. Featuring talks by James Thompson – head of In Place of War; Elyse Dodgson – International Director at Royal Court; Abhishek Majumbar; Pauline Ross – Artistic Director of Derry Playhouse, and Yasmin Alibhai-Brown. Saw The Events at Young Vic, by David Greig, dir. Ramin Gray. 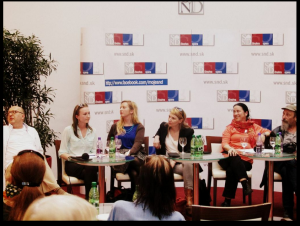 Invited to attend International Women’s Forum conference on The New Broadcasters, at the Groucho Club. Chaired by Lorraine Heggessy. Singing Poulenc’s La Figure Humaine with the Joyful Company of Singers: see details here. Buy tickets here. 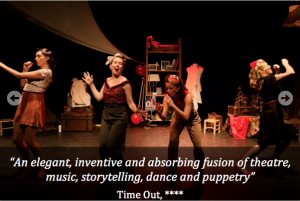 Saw Grounded at the Gate Theatre – starring Lucy Ellinson, dir. Christopher Haydon. 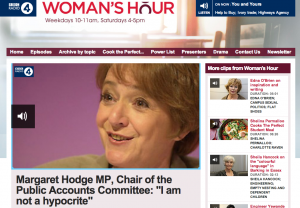 Produced BBC Radio 4’s Woman’s Hour, featuring Margaret Hodge MP and Dame Margaret Drabble. Directed Clarence Darrow, by David W. Rintels, at the Teahouse Theatre in Vauxhall (see here). Joined the European Theatre Convention Spring Theatre Tour, representing Nottingham Playhouse as Associate Director of NEAT 11 and the forthcoming NEAT 14 festival. Travelling with them from Italy to Slovenia to Slovakia to Croatia. L-R SND Artistic Director Roman Polak, Alanka the translator, me from Nottingham Playhouse, Heidi Wiley from ETC, the Chief Dramaturg, and Wolfgang Spindler from EuroNews. Singing Rachmaninov’s Vespers by Candlelight at St Martin in the Fields with the Joyful Company of Singers. Reading the Lost Plays in the Nottingham Playhouse archive. 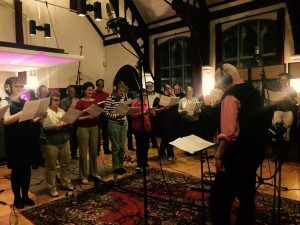 Recording Rachmaninov’s Vespers with Joyful Company of Singers, for album distributed by Nimbus. Press night of West End transfer of Curious Incident of the Dog in the Nighttime, based on Mark Haddon’s award-winning novel, adapted by Simon Stephens and directed by Marianne Elliott. Travelling to Cyprus to give three days of Directors’ Workshops at Veramand Studio School of Performance in Nicosia. Saw Dear World at Charing Cross Theatre, directed by Gillian Lynne. Heard Archipol perform at Brasserie Toulouse Lautrec in Kennington. Saw Illusions, by Ivan Viripaev, translated by Cazimir Liske, and directed by Ramin Gray. At Shoreditch Town Hall. 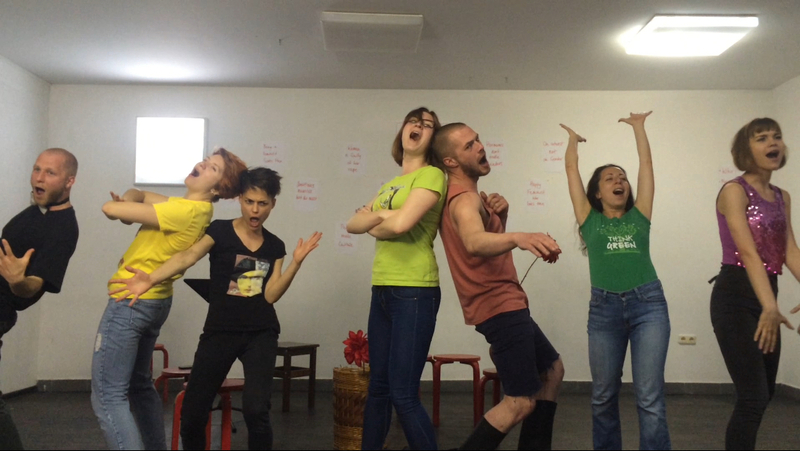 An Actors Touring Company production. Saw Romeo and Juliet at Theatre Royal, Bury St Edmund’s, dir. Lynn Whitehead. Saw Sour Lips, at Ovalhouse – written by Omar El-Khairy, directed by Carissa Hope Lynch. Attending Taking the Offensive conference on defending artistic freedoms in the UK, organised by Index on Censorship. Leading a day long workshop with The Ruby Dolls at Lamda.